The true disciples more and more gather and speak out – who band together and are branded by the blood of the Lamb and the imprint of the Holy Trinity. By the power of the Rosary and the Crusade Prayers each day our light shines brighter as we start to gather and merge in the four corners of the earth. 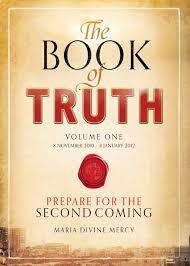 ⇒ What is the Book of Truth? ⇒ Crusade Prayers : New Mobile App.